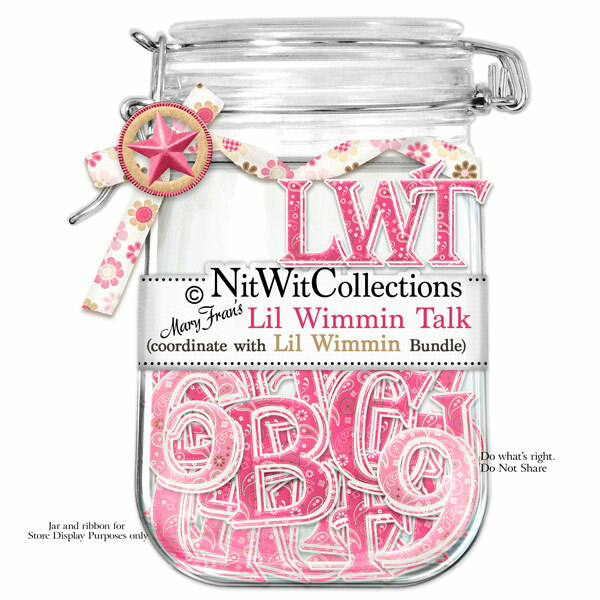 "Lil' Wimmin" Talk gives you a bold way to say your peace! Let' em have it! !ha,ha This Alpha coordinates with our FQB "Lil' Wimmin" Collection. 1 AlphaWit set of uppercase letters, &, apostrophe, bracket, exclamation mark, question mark and set of numbers (0 to 9). Letters and punctuation are in a bold pink bandana pattern and numbers are in a soft pink bandana pattern.